After exploring Wheeling for the first time in years, I decided to take a side-trip to nearby Bellaire, Ohio. 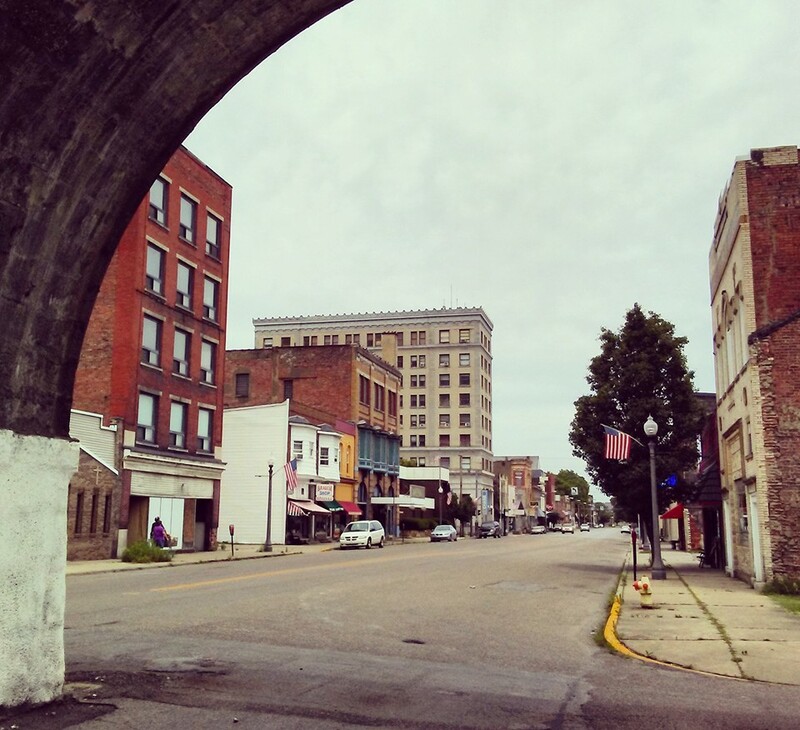 Bellaire is a small rust-belt city that peaked in population in 1920, at about 15,000 people. Only about 4,000 people live in the town today. It still has the built environment of a real city, with tall buildings and an intact (if eerily empty) business district. 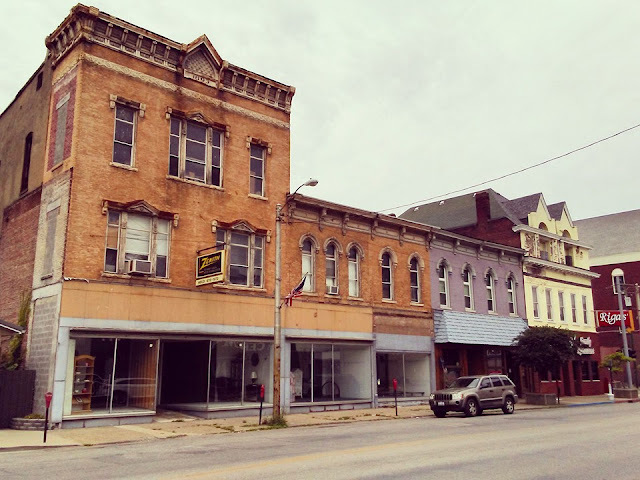 Bellaire has the potential to be what it must have been in the not-too-distant past -- a vibrant urban place. However, whether because of population decline, changing tastes, suburbanization, or de-industrialization, this place is a ghost of its former self. One does not have to have memories of the city to sense its former importance. The architecture tells the story. The condition of these buildings today also tells something of the place's current economic situation. 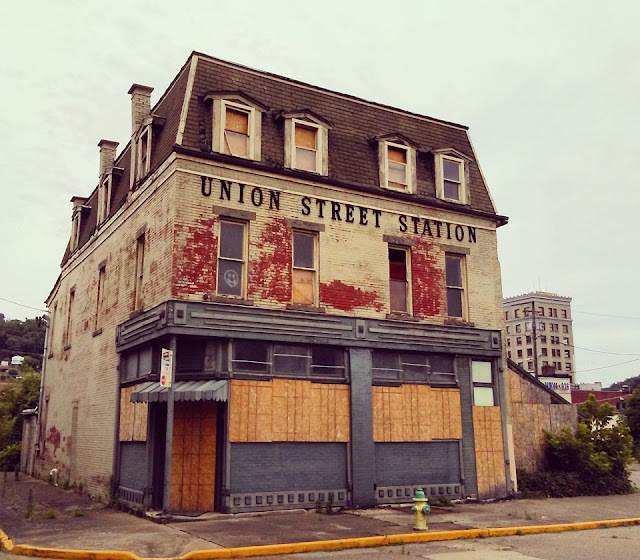 It looks downtrodden and forlorn, but it speaks to urbanists and historic preservationists who find the beauty in the industrial decay and the substantial old buildings. 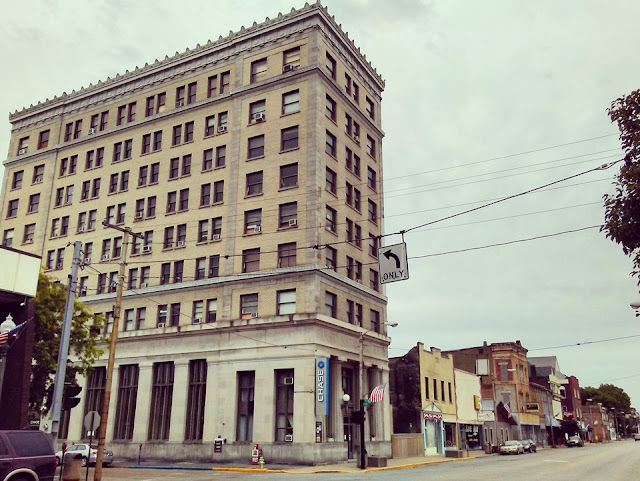 A little about Bellaire's history from Wikipedia: "The first big boost for growth came with the construction of the Central Ohio Railway in 1853, later absorbed by the Baltimore and Ohio, and the Stone Viaduct Bridge (opened in 1871) that carried it to Wheeling, Virginia. The B&O reached Wheeling in January 1853, having started construction at Baltimore, Maryland in 1827. It was the means by which the East Coast city, a port on Chesapeake Bay, could connect with western markets and compete with New York City and the Erie Canal. Col. John Sullivan campaigned for the connection from Bellaire. The town was renamed Bellaire by the railroad company."